Both markets and technologies are changing rapidly. Finding new markets for existing technologies and new technologies for existing markets is often a complex challenge. Agile Innovation is the latest solution set from the Purdue Agile Strategy Lab. 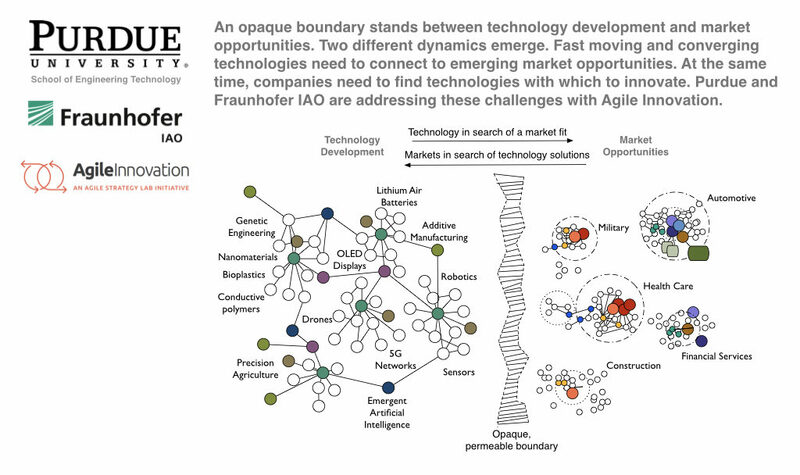 For the past four years, we’ve been partnering with Germany’s Fraunhofer Institute to make these technology innovation management tools available in the U.S. market. For the past three years, we have been piloting these solutions with our partners at the New Jersey Innovation Institute. We are now collaborating with the Whistler Center to pilot these approaches in the food industry.